Vienna is filled with fine architecture and elegant buildings from the 700 years of the Hapsburg Empire. Medieval streets and squares contrast with grand boulevards and beautiful gardens. The sumptuous surroundings of the hotel were originally created in 1863 as the Vienna residence of the prince of Württemberg and were transformed into the Hotel Imperial for the universal exhibition in 1873. The hotel is renown around the world as a byword for discretion and impeccable service. The unique location at Vienna's famous Ringstraße, next to the Musikverein Vienna provides excellent conditions to explore the imperial city with all its magnificent sights. The hotel features the Café Imperial for traditional Viennese cuisine or the Restaurant OPUS for gourmets and lovers of culinary art. 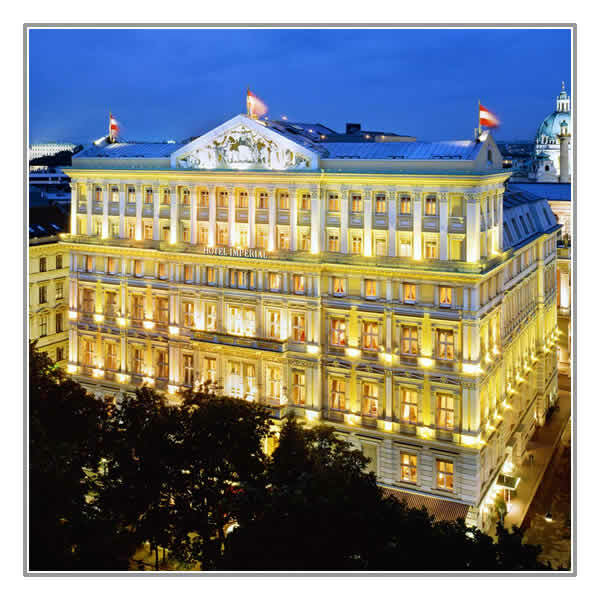 The Hotel Bristol is located in Vienna's city centre directly opposite the Vienna State Opera and has been an elegant meeting point of the city's rich culture and business life for more than a hundred years. 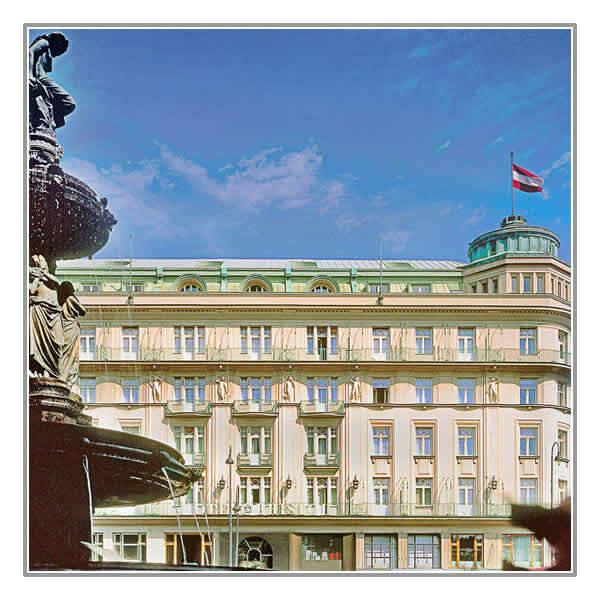 Opened in 1892, the hotel still serves as a living example of Viennese charm and its famed personalised service. Elegantly decorated rooms are complimented by superb cuisine at the Bristol Lounge.